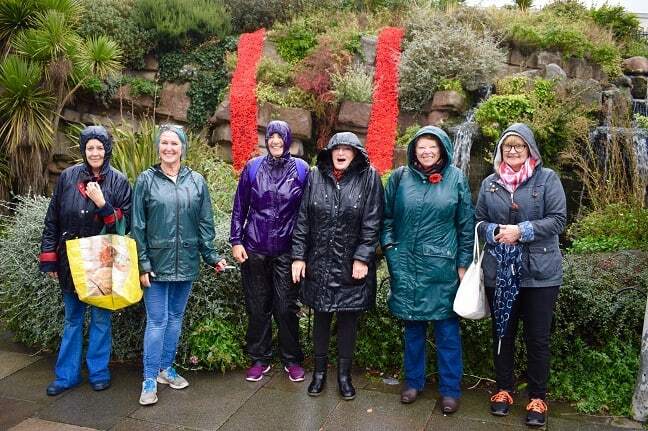 The band of dedicated ladies who form Crafty Poppies turned up in the rain today (November 1) to hang more than 8000 knitted and crocheted poppies in Ramsgate. 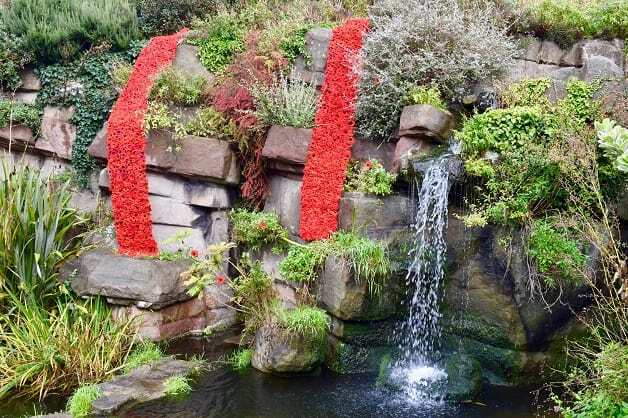 The poppies have been installed over the waterfall on Madeira Walk and around Destiny, the First World War commemorative statue in Albion Gardens. The group worked hard in the pouring rain until they were forced to stop by the downpour so, the exhibition is still a work in progress. 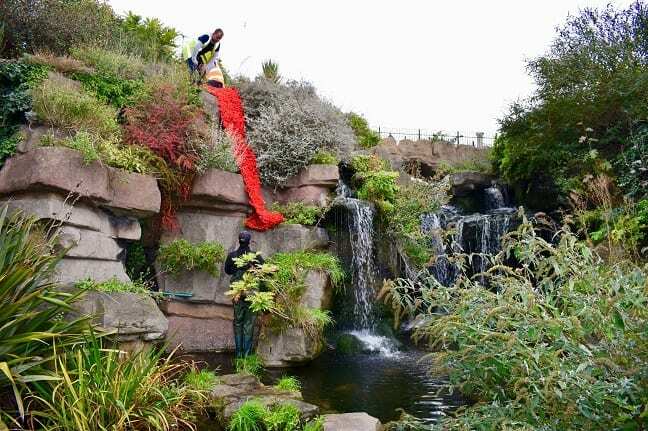 Thanet council supported the effort by sending Steve, Steve and Scott from their Open Spaces department who did the fixing of the two five metre lengths which commemorate the fallen heroes as the 100th anniversary of end of the First World War is marked this year. 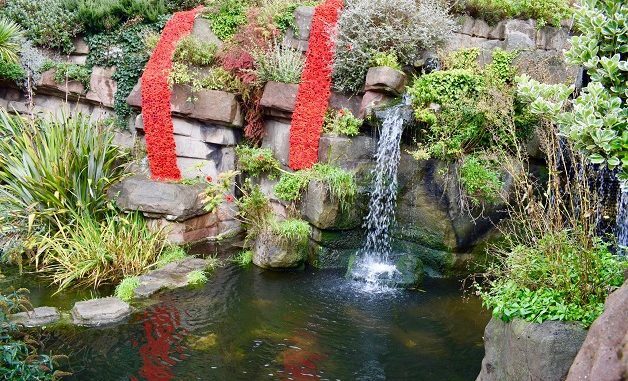 Craft Poppies founder Jo Hanchett said: “We must also express our enormous thanks to the volunteer Albion Gardens Gardening Group who have taken on the challenge and are making a real difference to the gardens. Margarita and her group cleaned around Destiny and planted flowers to enhance our poppy Installation. On Sunday, November 11 at 8.30am there will be a wreath laying ceremony at the Destiny statue. This will be followed by the Remembrance day parade starting in Elms Avenue at 10.40am marching via Queen Street, King Street & Broad Street to St George’s Church in Church Hill where there will be a service. 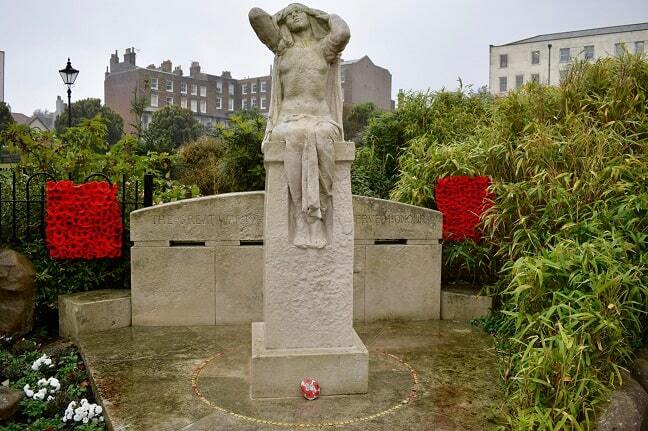 Well done, and thanks, to all those who have contributed to the Ramsgate poppy installation. A moving tribute, like Destiny, to all who served.